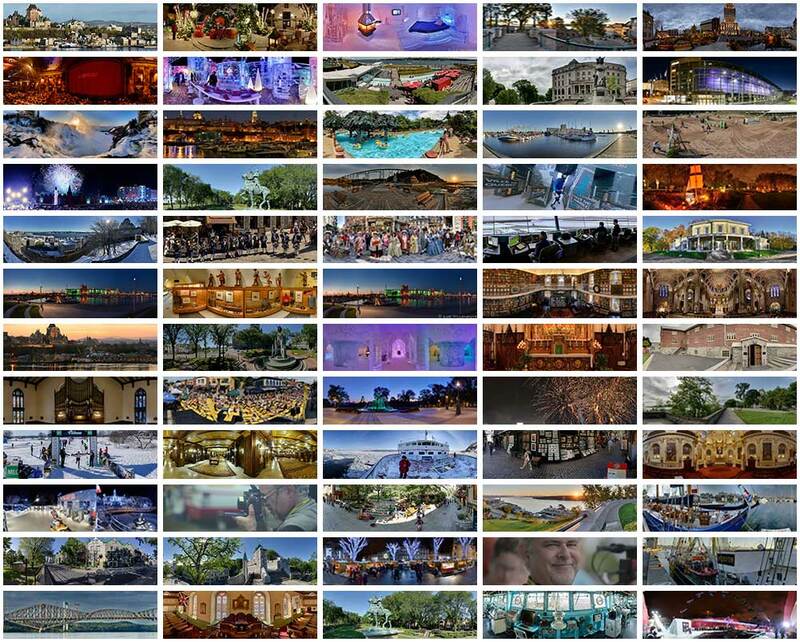 An amazing collection of interactive medias to visit Québec, as if you were there! If you need stunning images from your location, give us a call! I am producing interactive 360° medias of Quebec City, its events and its attractions since years. I am publishing on this site a part of my collection of interactive images. Go down the Red Bull Crashed Ice in the skates of the forerunner from RedBull or immerse yourself in the atmosphere of the holiday season. Thirty (30) media categories allow you to live the winter, to visit Old Quebec, activities or events held there. New media will be added on a regular basis. Feel free to subscribe to our newsletter. Some panoramas and videos are compatible with all kings of VR goggles. When they are, they will have a goggles icon on the control bar. Although all medias are very high quality, some scenes were captured with the highest quality lenses up to 500mm. These HD images enable you to scrutinize the fine details of the images. Feel free to zoom into HD images. The whole content of this site is ©Luc Villeneuve. Please read our Copyright Notice page.